I was assigned to photograph a University of Waterloo student who was both a golf champion an up and coming hockey official. I wanted to try something to display this duality so I attempted a long single exposure where, in a pitch black room, I lit him once in his golf attire and then had him quickly change in the dark into his ref attire. It took multiple attempts and I didn't feel like I quite pulled it off but I could only make the poor guy do this so many times. WATERLOO, Ont. 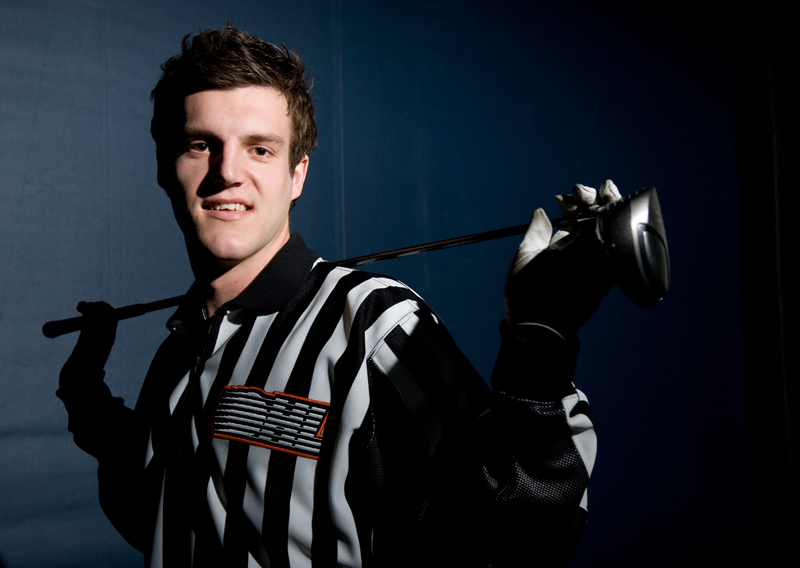 (15/04/11) -- Garret Rank, of the University of Waterloo, balances being both the reigning Ontario Golf Champion and an on-ice official for the OHL. Shannon Storey/Record Staff. WATERLOO, Ont. 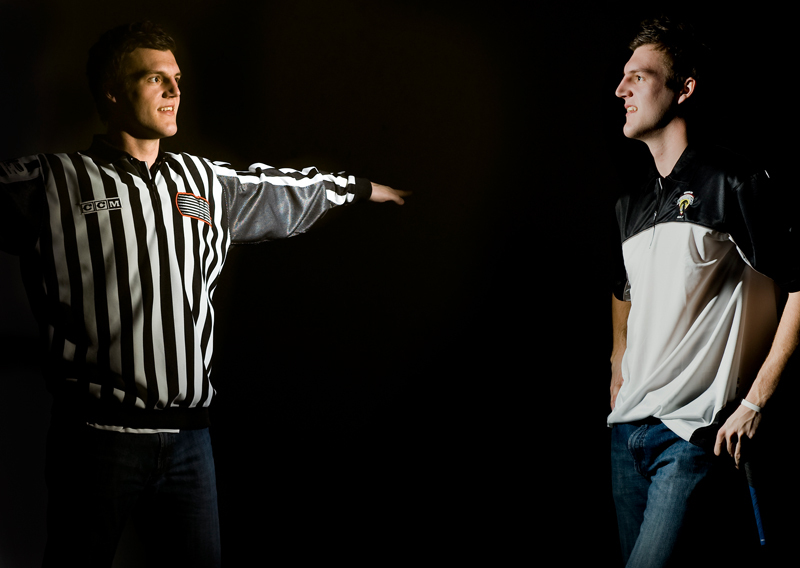 (15/04/11) -- A single exposure of Garret Rank, a students at the University of Waterloo, who is balancing two lives as both the reigning Ontario Golf Champion and an on-ice official for the Ontario Hockey League. Shannon Storey/Record Staff.